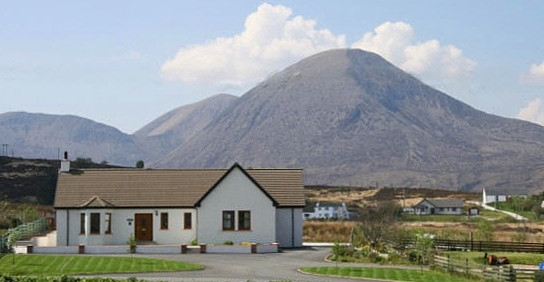 Broadford the second largest settlement on Skye is well served by restaurants, pubs, craft shops etc and being located there makes Ardmore an ideal centre from which to tour all of Skye and Wester Ross. Ardmore caters for a maximum of 6 guests. 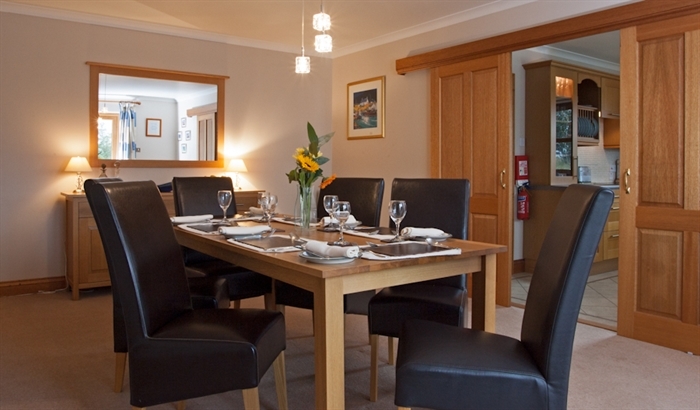 All furniture and fittings are top quality and all rooms are large and well equipped. "Ardmore" is of course double glazed and centrally heated throughout. There is secluded private gardens and generous parking to the rear. The owners Anne and Ian MacMillan live in the village and are on hand should guests ever need their help and advice. A comprehensive set of ordinance survey maps, walking and touring guides are available free to guests. There is a 42 inch plasma TV with surround sound and a supply of games, books, cards, CD's and DVD's just incase the weather is inclement. Linen, towels, oil, electricity,WiFi and a welcome pack are all included in the rental charge. Lounge: The lounge features a solid oak floor, feature limestone fireplace and seats 6 with ease on leather sofas and chairs. There is also a 42" television set. Bedrooms: There are 2 double rooms and 1 twin. 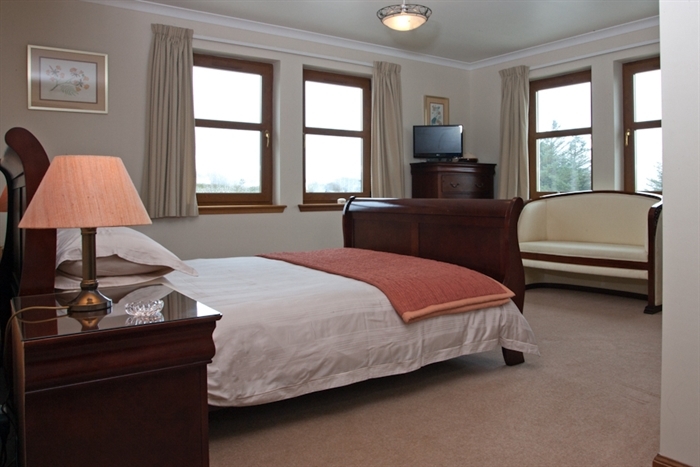 Both double rooms have spacious ensuite facilities and king size beds. All rooms are equipped with hairdryers. 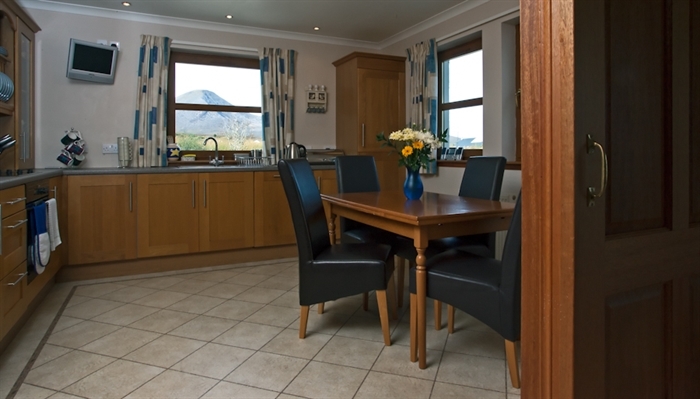 Kitchen: The kitchen is fully equipped and fitted out with quality solid wood units. The appliances (cooker, fridge, freezer, dishwasher) are Neff and all are integrated. There is also a microwave oven. A table and chairs are provided for those who want to breakfast in the kitchen. Utility Room: The utility room has a washing machine and a tumble dryer. Bathroom: The outstanding feature of the main bathroom is the freestanding roll top bath. Dining Room: The dining room has french doors which open onto a large patio. 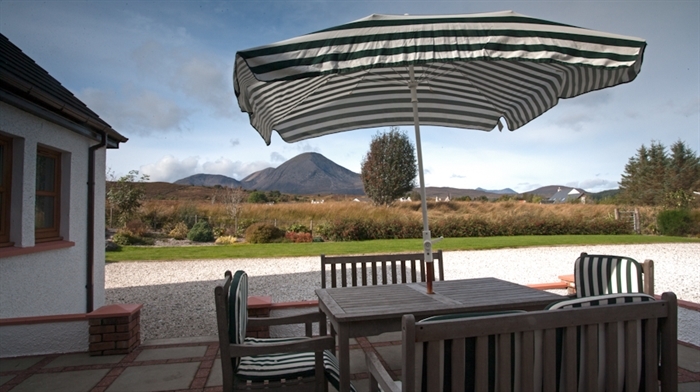 A gas barbeque and patio furniture are provided for those who enjoy the great outdoors.